“When the student is ready, the teacher will appear,” is an old saying attributed to Buddha. 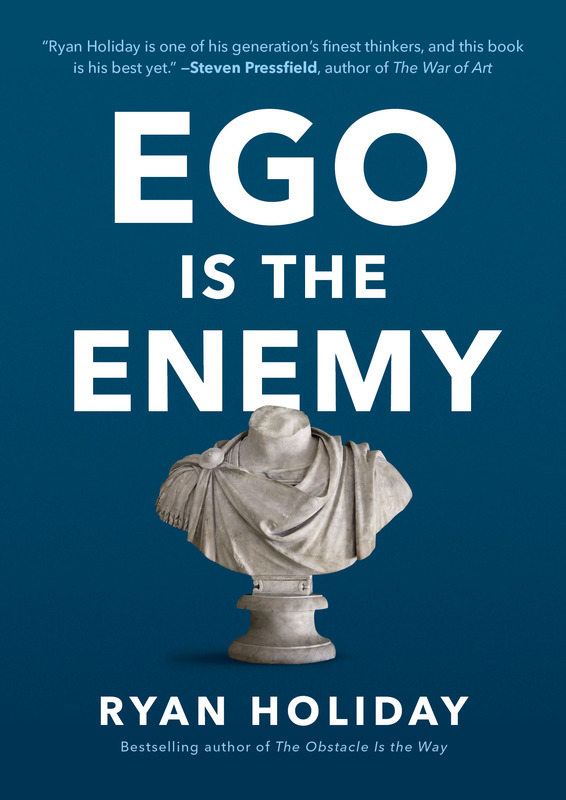 I just finished reading a book, Ego is the Enemy, that I wish I had read at the start of my academic career. But, it is still not too late for me, as I still have a fair bit of my academic career ahead of me. I can change and get better. As I read the book, authored by Ryan Holiday, I could not help but reflect on the critical importance of the subject for academics like me. Let’s face it. Academics, like all people, have egos. While I have no data to prove this, I suspect egos of academics are probably bigger than folks in other professions! We die to see our names in print, we fight for credit, awards and funding, we like being called ‘experts’, we ‘profess’ whenever we get an audience, we brag about our H-index and the size of our research labs, we feel validated when others cite or use our research work, and we are gutted when our research is scooped. These traits, I guess, are ‘naturally selected’ to help us get into and thrive in the competitive academic world we live in. But there comes a time in an academic’s life when the ego might threaten to get out of control. The runaway ego can then become an impediment to the academic’s continued growth and impact. Ego becomes the enemy of success. Holiday’s book provides a stunning array of examples, from all walks of life. Holiday himself is a case study in his book. Everyone has seen the destructive power of monstrous academic egos - every department in every university can recount tales of legendary ego battles between academics. In fact, departments have been fractured into warring 'clans' because of such ego battles! Promising academic careers have ended because of ego clashes. Students’ lives have been devastated by the inability of academics to work together. Outstanding science has never seen the light of the day, because researchers could not agree on authorship, or put science higher than their quest for glory and credit. Given the importance of this topic, you would think that universities would routinely offer workshops to their faculty on “how to conquer their egos.” Holiday’s book, in fact, could form the core of such a course. Sadly, I have not heard of any such offerings in academic circles. All of us need to learn strategies and tactics that help us conquer our egos. A good place to begin is with a screening test. Can we use warning signs to detect an over-inflated ego? A positive screening test might help in designing strategies to conquer the ‘enemy within.’ So, here is my initial stab at a list of 12 important warning signs. So, what can we do, if the above screening test suggests a problem? I am positive on some of the indicators on this test, and I suppose that is what made me read the book in the first place (I was 'ready for it'!). Self awareness, by itself, is a step in the right direction, says Holiday. Sobriety, open-mindedness, organization, and purpose – these are other stabilizers that can counter the ego. The long-term goal, Holiday adds, is to become humble in our aspirations; gracious in our success and resilient in our failures. Stay a student: In academia, we constantly seek to become 'experts' in our narrow field (and we get promoted precisely for this reason). This can, over time, make us resistant to learning, especially if we stick within our narrow field where everyone is aware of our work and our colleagues expect us to come up with good ideas all the time. The more we think we know, the less open we become to learning. Recently, I attended a conference that was not in my area of research. I was not an ‘expert’ and hardly knew anyone at the meeting. I was an anonymous student again and found myself enjoying all the workshops and sessions. Each of us needs to find a way to ‘retool’ and learn new things during our academic career (this may well be the original rationale for sabbatical leave). New research collaborations and interdisciplinary projects might be another great strategy for staying a student. Over the past 3 years, I am working closely with a large, interdisciplinary team that includes economists, anthropologists, and researchers who are not in my field. I am learning so much from all of them, and thoroughly enjoying myself at the same time. Further, this collaboration has resulted in several publications, and opened a whole new stream of research activity. Find a larger purpose: If publishing more and more papers, and bringing in more and more research dollars is our raison d'etre for being in academia, then our egos have plenty to gorge on. What if we had a bigger purpose? When we have a bigger vision, then it should matter less if we are first or second authors, or that our colleagues won the grant that we hoped to get. In my field, we are hoping to end tuberculosis by 2035. I am naturally drawn toward this larger goal. At the very least, I want to see a visible improvement in the TB problem in India, the country where I do most of my TB work. This bigger purpose of bending the arc of the TB epidemic now permeates my research team, and I can see it have a positive impact on all my staff and students. Yes, we want to do good science, publish papers, and win awards, but beyond all that, we know we have a bigger mission to serve. We are also aware that we are cogs in a much bigger wheel, and that real reduction in the TB epidemic will require us to be aligned with thousands of others working in TB. So, we collaborate with a number of people, agencies, and TB groups. Seek/build a culture of collaboration, not competition: Competition can be healthy, but also destructive. In particular, competition within a department or research unit can be really bad for creating a culture of learning, sharing, and caring. I am fortunate to work in a TB Centre that is collegial, helpful, and humble (which comes naturally to Canadians!). There is little competition within the Centre, and resources are freely shared. In fact, this is one of the main reasons for me taking up a faculty position at my university. Having seen the benefits of this, I reinforce the same values within my own research lab – everyone is encouraged to collaborate, but not compete. In this environment, it is not easy for the ego to run wild. My students and research staff often tell me that they love the culture of collaboration. Liberated from the stress of competition, they can focus on research and be more productive. And by helping each other, I think they are publishing more than they would, if they worked alone. Learn from mentors and role models: We can learn a lot by observing role models – academics who achieve greatness, and yet remain grounded and humble, and from researchers who can put their higher goals above their desire for recognition and praise. Undeniably, every school has such academics, and I have been lucky to observe and learn from a few myself. 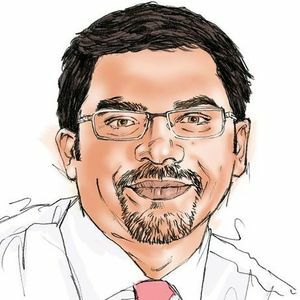 I have also worked with some impressive colleagues who gladly take themselves away from the limelight, to make sure the bigger goal is achieved. The battle against ego must be fought on many fronts, and daily. All of us need to work towards a place where, to paraphrase Holiday, we think less of ourselves, and be less invested in the story we like to tell about our own specialness. As a result, Holiday says, we will be liberated to accomplish the world-changing work we set out to achieve (as academics). Note: Post updated on 2 April at 11.25 AM EST. Thanks for this. Most helpful for me as young academic. interesting! Thanks for the article. The concept that the teacher will appear when the student is ready is not of Budha. The idea is Vedic. It does not refer to the modern day teacher-student relationships. The concept of "Guru" does not equate to teachers of modern day times. Absolute truth. Brilliant piece. Highly appreciated.